So I claim to be the ‘elect’ of God for whom Christ died. I know enough theology to debate any Atheist or Evolutionist and prove him wrong. But could it be that I am just a spiritually dead Christian with a lots of doctrine in my head? 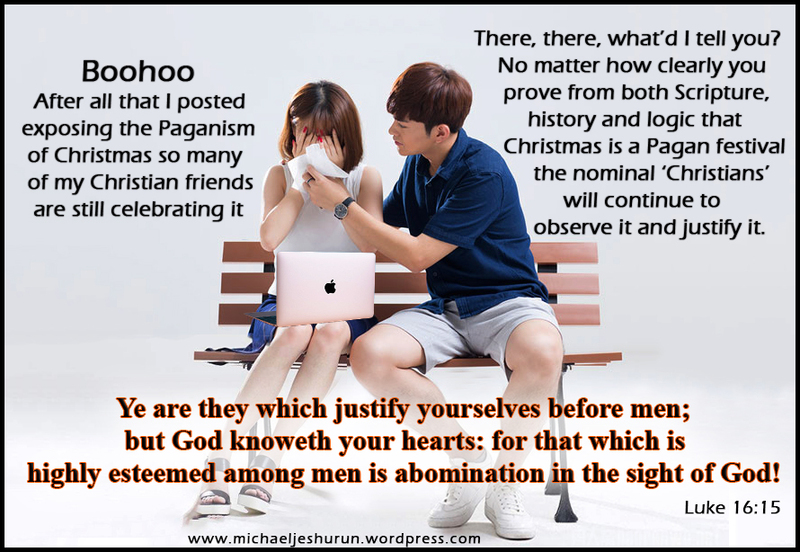 I have heard this for a long time now that Christmas is Pagan and an offence to the God I claim to love and obey, but I could care less. I don’t want to be that ‘oddball’ who shuns Christmas and preaches against it. I have no desire to go forth unto Him, outside the camp (of apostate christianity) bearing His reproach like all the Elect! [Heb. 13:12,13].